CEO Stephen Schwarzman owns 5 homes—including a $31 million apartment in New York City and a mansion in Palm Beach worth over $21 million. The New Yorker labeled him "the designated villain of an era on Wall Street," following the $3 million 60th birthday bash he threw for himself. Blackstone bull raising new buyout fund despite horrid private equity markets. Investors skeptical: shares down 25% this year and 55% since public offering last June. With Peter Peterson founded private equity shop in 1985 with $400,000 balance sheet; diversified into real estate, hedge funds. Firm now manages $119 billion. 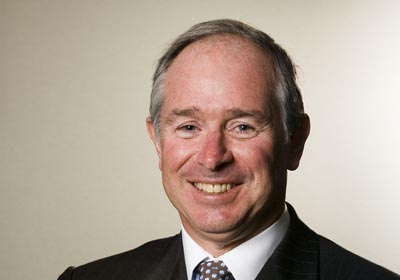 Schwarzman urging U.S. to embrace sovereign wealth fund investments. Likely successor: Hamilton ("Tony") James.